In January of 2008 Louisiana began a refundable state tax credit designed to support quality early care and education. This is part of a package of tax credits called the School Readiness Tax Credit (SRTC). It provides businesses with a dollar-for-dollar refundable tax credit of up to $5,000 for donations to child care resource and referral agencies. 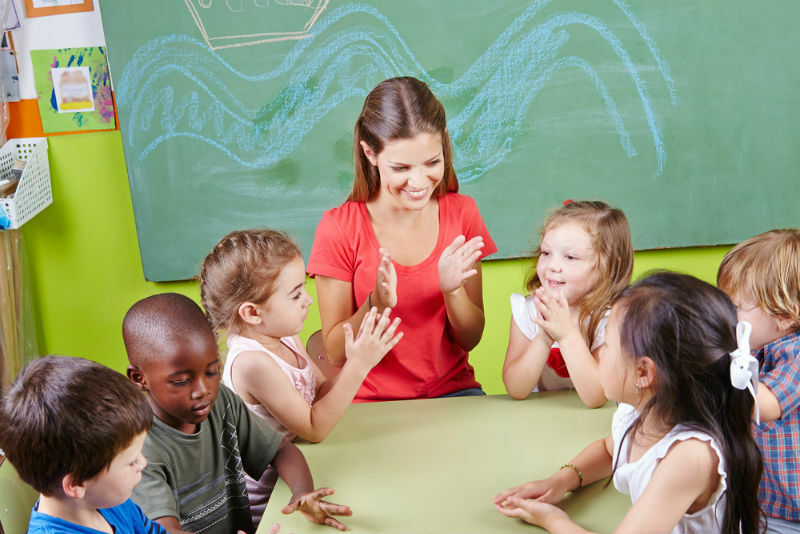 These are entities, contracted by the Louisiana Department of Education to provide information and guidance to families and child care providers to help build quality early learning programs. Northwestern State University Child and Family Network is the contracted agency for Northwest Louisiana and has provided this service since 1999. The funds from this initiative are used to help centers upgrade their programs through training to improve staff effectiveness, learning materials, supplies and training to implement developmentally appropriate curricula, and other efforts to improve the school readiness of children in this area. These goals are in keeping with statewide efforts to improve school readiness and education in Louisiana. What leaders in Northwest Louisiana are saying about the benefits of the School Readiness Tax Credit. How early learning centers in Natchitoches are improving thanks to the many supporting businesses. All businesses are eligible to participate in this tax credit program. A business is defined as any for-profit or not-for-profit entity and includes sole proprietors, partnerships, limited liability corporations and corporations. However, it does not include individuals operating in a personal capacity. Please make sure your checks are marked NSU Child and Family Network so that our region will get credit for your donation. You will receive a letter from me documenting your donation which you should save for your tax filing. This is a state tax credit, not a deduction. A tax credit reduces the taxes paid, dollar-for-dollar, in contrast to a tax deduction that only lowers taxable income. Furthermore, it is a refundable tax credit so that if the credit exceeds the tax burden, then the business receives a check for the difference. We encourage you to speak to your tax advisor to learn more about this tax credit and how it can be useful to you. This credit is an excellent way for businesses to support quality programs for children in our community. If you still have questions about donating to the NSU Child and Family Services, you can review our list of frequently asked questions or send us a message using the contact form. What are the School Readiness Tax Credits (SRTC) for Businesses and Employers? The SRTC’s are a package of refundable state tax credits designed to support quality early child and education. Some of these state tax credits are available to businesses and are NOT dependent on whether the business owes state income or corporate franchise taxes. Furthermore, the credits are available for both for-profit and non-profit businesses. One of the two types of SRTC’s available to businesses/employers is a refundable state tax credit for donations made to child care resource and referral agencies to help centers participating in Louisiana’s Quality Rating System. What is Louisiana’s Quality Rating System? How can my business receive a refundable state tax credit for donations to Child Care Resource and Referral Agencies? How do I submit my check? Note on the check that it is for NSU Child and Family Network Northwest Louisiana School Readiness Project. You will receive a letter from NSU Child and Family Network to document your donation. For additional information, contact Nancy P. Alexander at 677-3176 or NancyA@nsula.edu or your CPA. Which businesses are eligible to receive these tax credits? All businesses are eligible. A business is defined as any for-profit or not-for-profit entity and includes sole proprietors (so long as the individual is not acting in her/her personal capacity), partnerships, limited liability corporations and corporations. However, it does not include any individual operating in their personal capacity. Can a not-for-profit business receive these credits as well? Yes, non-profits will need to register as a business with the Department of Revenue and receive a Louisiana tax ID number. Many non-profits will already be registered and have a state tax ID number because it is needed for withholding purposes for their employees. If for some reason a non-profit does not have a state tax ID number, please go to the Louisiana Department of Revenue website at http://www.revenue.louisiana.gov/ for more information. To claim the tax credits, the non-profit will file a corporate income tax return claiming zeros for income (unless they have unrelated business taxable income) and claiming the refundable tax credits which will generate a refund. What is a tax credit and how is it different from a tax deduction? A tax credit reduces the taxes paid, dollar-for-dollar. A tax deduction lowers taxable income. A refundable tax credit is one that is available to a taxpayer even if they do not owe any taxes. Refundable tax credits reduce the amount of taxes you owe by the amount of the credits. If the credits exceed your business’ tax burden, then you will receive a check for the difference. For example, if your business donates $5000 and owes $8,000 in state taxes, your state tax bill will be reduced to $3,000. However if the business owed $2000 in state taxes, it will no longer owe those taxes and your business will receive a check for $3,000. If you have a non-profit business and it does not owe any taxes, it will receive the full value of the SRTCs. Where in the law does the SRTC for businesses exist? How does this benefit my community? Early learning centers in your area will receive educational materials, training and technical assistance to improve their programs. Employers benefit when quality child care is available so parents can work with confidence. Quality educational programs mean that children are better prepared for school success. As a result, educational attainment goes up and the drop-off rate decreases. These effects are well-documents through extensive research.